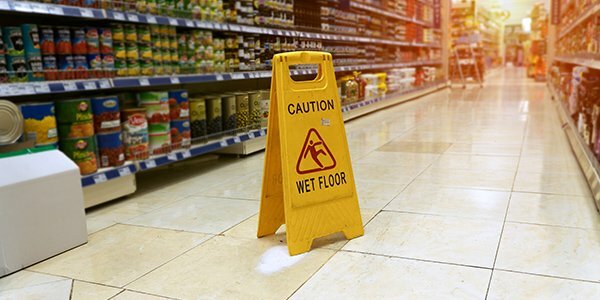 Shopping-related injuries prompt thousands of personal injury claims in the U.S. every year. But when you sue a retail store for a shopping-related injury -- like one man did for his toe fracture at Lowe's -- what steps should you take? Get medical attention. Be sure to get an accurate medical diagnosis of your injury immediately after the accident to serve as potential evidence and your basis for damages. Identify witnesses. To prove the retail store was at fault, it's important to have witnesses available who can attest to what happened and corroborate your recollection of how the events unfolded. Check the store surveillance camera. In a battle of contested facts, store surveillance footage is often the "smoking gun" in a personal injury lawsuit. In one case, a plaintiff won a multi-million dollar lawsuit after proving the store destroyed surveillance tapes. If you can't find the footage itself, look for the sinister absence of it. Determine the statute of limitations. The time limits to bring a case, called the "statute of limitations," are established by state law. It typically begins to toll when the plaintiff is injured or discovers the injury, but it often varies depending on the type of injury. Prepare for the retail store's defenses. To fight your allegations, a retail store may claim the following defenses: no dangerous condition existed (or it was so obvious as to avoid), the store had no knowledge of it, the store took reasonable steps to fix it, you suffered no damages, the condition didn't cause your injury, or you were negligent and/or assumed the risk. Prepare for removal to federal court. Retail stores often try to remove personal injury lawsuits to federal court because of federal courts' perceived leniency towards defendants and their reputation for awarding more conservative jury awards. Ponder your settlement requirements. The vast majority of cases settle. If you receive a settlement offer, you and your lawyer will need to consider a number of factors before accepting or rejecting the offer. Be prepared: Think about your needs (and bottom-line) now. With "Black Friday" around the corner, you may want to keep a close eye on your fingers and toes and have a personal injury attorney on speed-dial.